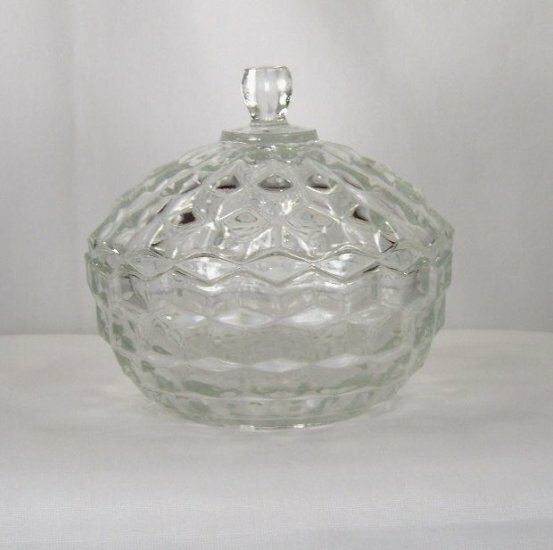 This Indiana Whitehall covered candy looks like Fostoria American and will complement any pieces of that line you might have. It's about 5 inches tall at the tip of the finial and 5 1/2 in diameter. It's in very good condition without chips or cracks and shows very little sign of use.